The high street crisis has left Sainsbury’s fearing the Christmas trading season in the run up to December. Indeed, with the high street crisis hitting companies following a successful UK summer, the market remains considerably “competitive”. 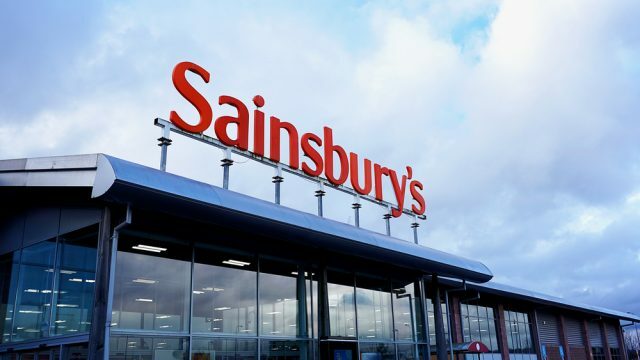 Despite this, Sainsbury’s has reported an increase in half year profits. Britain’s second largest supermarket chain revealed its interim results for the 28 weeks to 22 September on Thursday. Group sales are up by 3.5% at £16,884 million with retail sales (excluding fuel) at 1.2%. Like-for-like sales (excluding fuel) have increased by 0.6%. Additionally, underlying profit before tax has jumped by 20.3% from £251 million to £302 million. The group’s underlying earnings per share were reported up by 18% to 10.3p. Morover, interim dividend of 3.1% per share is in line with the group’s policy of paying 30% of prior full year dividend. All 251 Argos stores, including the 60 new stores opened in Sainsbury’s supermarkets, continue to trade well, the group said. Sainsbury’s is not the only leading retailer to profit from the British summer of scorching weather and football success. However, retail sales dropped in September by 0.8%, a decrease that was considerably larger than anticipated. Likewise, the drop in food sales reached 1.5% for that sector alone. With the John Lewis Partnership (LON:JLH) reporting a 99% drop in profits, low-budget supermarkets Aldi and Lidl continue to snap up their share of the market. At 11:10 GMT today, shares in Sainsbury’s (LON:SBRY) were trading at +0.34%.